Infinity Ward's Robert Bowling has released a sneak peek at the new Spec Ops Survival Mode trailer that's being made. Click on the image below to enlarge it. The new trailer should be done soon since they are already putting the finishing touches on it. Also, Michael Condrey of Sledgehammer Games has revealed that they are working on a Color Blind Assist option for Modern Warfare 3.Research suggests that as much as 6% of the general population suffers from Color Blindness, or more accurately Color Vision Deficiency. Men (9-12%) are 20x more likely to be afflicted than women (0.25-1%). Those numbers vary depending on which source you quote, but we estimate that nearly a million gamers are playing Call of Duty every day with this issue. 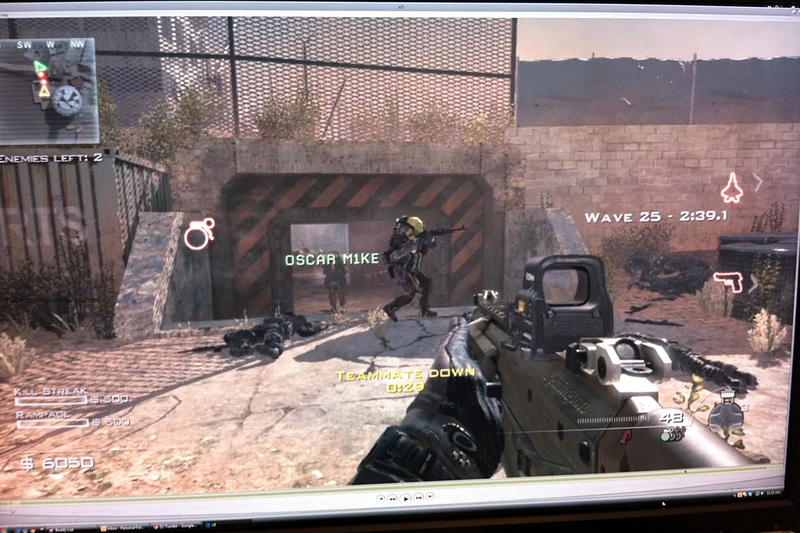 I am happy to report that we are working on a Color Blind Assist option for Modern Warfare 3.This is great news. Modern Warfare 2 didn't have this option back in 2009 and actually sparked petitions to get Infinity Ward to add support for color-blind gamers.